Also called G, Gina, Grievous bodily harm and GBH, GHB (along with GBL) is a downer, a depressant drug, with the capability of slowing down the body and its functions. Gammahydroxybutrate (GHB) is often associated with gammabutyrolactone (GBL) because aside from both being anesthetic and sedative, they can also kill, especially when used in conjunction with depressants, such as alcohol and other sedative substances. It is important to note that GBL is immediately converted to GHB upon ingestion, both of which produce a euphoric feeling as well as reduce inhibitions and cause sleepiness. 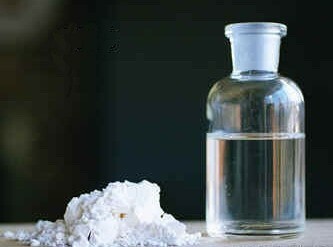 GHB, which is usually consumed and abused by teens and adults at bars, concerts, night clubs and parties, is one of the well-known club drugs that belongs to a pharmacologically heterogeneous family of psychoactive drugs, such as MDMA (ecstasy), ketamine and methamphetamine, among others. GHB, in particular, is a depressant of the central nervous system and is approved by the Food and Drug Administration (2002) for use in narcolepsy, a sleep disorder, treatment. GHB effects can kick in within 15-20 minutes and immediately causes nausea, dizziness, confusion, seizures or respiratory depression, but coma or unconsciousness in certain cases. Consequently, a user may not be able to recall what has happened to him/her while under its (GHB) influence. And when ingested with other drugs, including alcohol, its consequences may be life threatening or even fatal if the victim wasn’t given emergency care. It is very easy to reach GHB overdose, especially if the drug is made by non-professionals in their street labs. Hence, the same amount from two batches may have different effects (due to varying concentrations and ratios). Just like other drugs, GHB comes with risk, and as a general advice, start with small dose, if consuming it. If your friend’s getting drowsy from GHB/GBL, don’t let him fall into sleep, as published on Drug Fucked, because he may not be able to wake up. Or, if he’s knocked out, stop him from choking by laying him on his side rather on his back. Right now, both (GHB and GBL) are Class C Drugs, so possession can put someone up to two years in prison and/or pay an unlimited fine, or supplying can put him up to 14 years in jail and/or pay unlimited fine. Do you have an interesting personal story about GHB? Post a review or register to comment on this article.